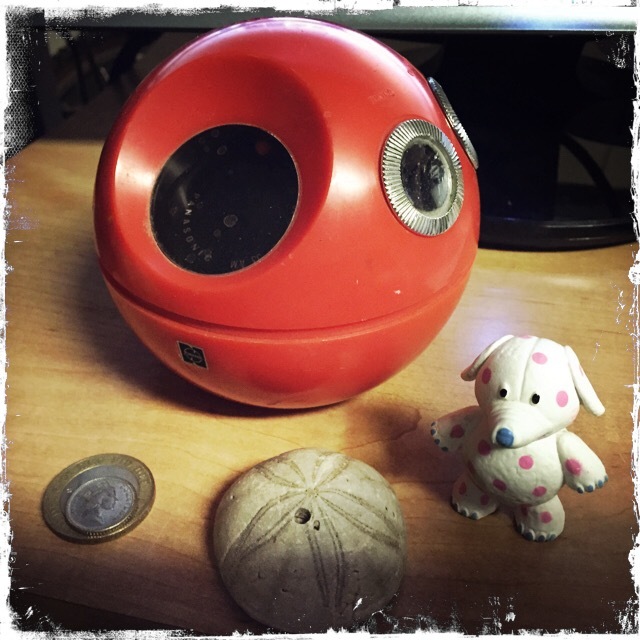 My handy-dandy Panasonic Panapet transistor radio that I’ve had since the 1970s, some odd coins, a petrified sea biscuit, and a plastic misfit toy from the Rudolph the Red-Nosed Reindeer movie. I still use my radio (I’m listening to it as I type), and it is tuned to a local AM station that plays music from the 50s, 60s, and 70s. What’s on a person’s desk says a lot about their personality.